We have gained a new recycling partner this week. 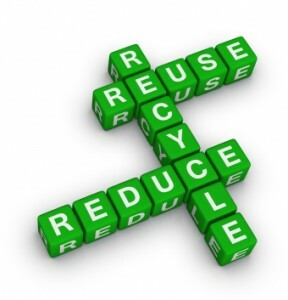 Joining our effort in recycling is Fred Haas Toyota World in Spring Texas. According to Jeff Debner , Collision Center Director, they generate a large amount of scrap metal and to a lesser amount scrap aluminum. They have in the past recycled these materials, however they were not being served by their recycling vendor in a timely manner. They have agreed to continue to recycle these materials and in addition we will also start recycling their cardboard. According to Debner, they have been paying a vendor to remove this material. We are very pleased to have Fred Haas as a new recycling partner. Try 2 Recycle will be closed Thursday thru Sunday Nov. 22 – 25 for Thanksgiving. We hope all of our recycling partners have a enjoyable holiday. High Tech in Trash Industry? High tech is all around us, and the trash disposal business is no exception. We just read an interesting article about a new way to handle household waste. Our business is recycling, and this is not really recycling, but it is a related activity, and, we thought, very interesting. It is all about getting rid of household waste in an environmentally friendly manner, and that interests us. In this case the trash is put through a process that blasts it into gas and leaves any hazardous materials in a molten glass state that can be collected and disposed of safely while the gas can be used to drive the process itself. No more landfills required! You can read more about it in Wired by clicking on this link, “Trash to Gas“. Welcome to our site, where you can stay up to date with all the latest information about recycling and how you and your business can benefit from an active program!